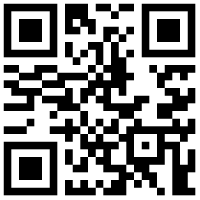 Pierre travel INTL agency was established in 1993. Since its foundation the agency has held an international license to issue airline tickets (IATA) and we have now agreements with all airlines operating in the domestic market. 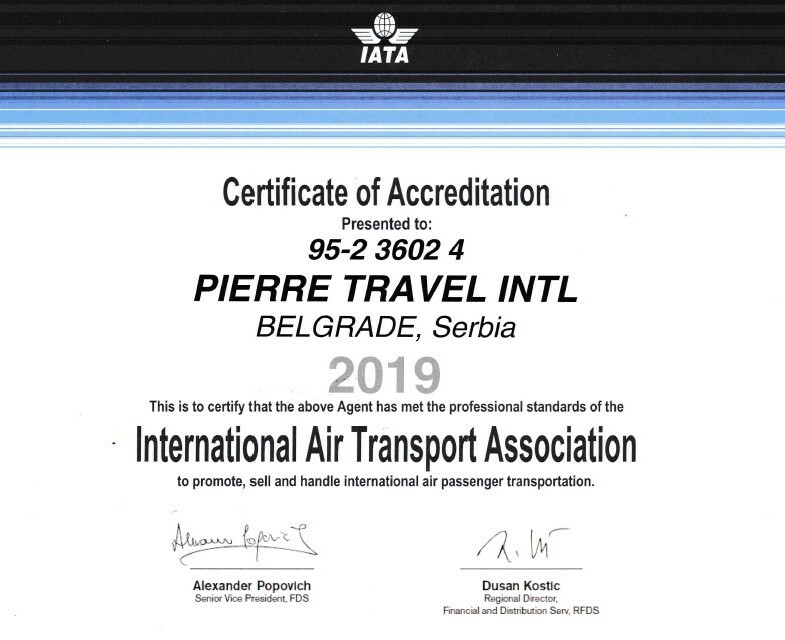 In addition to regular airline ticketing, Pierre Travel INTL can offer special programs airline companies which are able, on the basis of realized travel, to offer significant discounts and benefits to individual travelers and companies.Low cost airlines tickets can also be booked and issued to all destinations with a free web check-in. 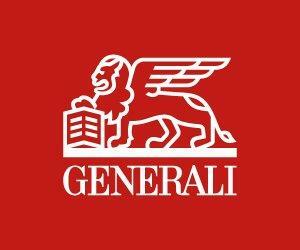 In addition to airline tickets, we also offer travel insurance Delta Generali or UNIQA for traveling abroad. For business or private trips, we can reserve any accommodation in the city of your choice or at our recommendation or recommendations of satisfied customers and align each booking with your business obligations and needs. Safety, reliability, experience, precision and accuracy in the design and realization of each individual and group travel are the main features which differentiate Pierre Travel INTL from other travel agencies. These are the main reasons which attract and retain our customers. 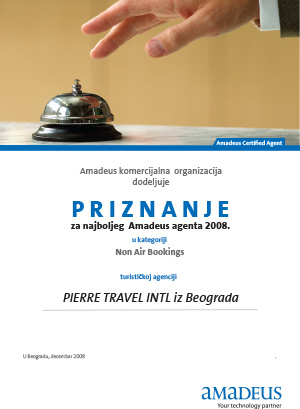 Years of experience in the supply and reservations of hotel accommodation has led to recognition for the best agent reservation system AMADEUS in Serbia NON AIR (hotel and rent-a- car) Reservation in 2009. In addition to reservations we offer rent-a- car reservations all over the world, transfers to/from hotel and offer sightseeing tours. We are a holder of a license OTP BR 63/2010, which means that we are also organizers of tourist trips.We successfully collaborate with a number of foreign partners who are very pleased with a yearly increase in our volume of business and we are constantly improving the quality of our mutual cooperation. The company has six employees, of which five have attended and completed internationally recognized airline ticketing and hotel reservation courses, while three employees are university graduates. We are equipped with the most modern airline ticketing system and we co-operate with the global companies which operate in Serbian market. Having said the above, we inform you that we are fully ready for business cooperation, including all aspects of travel within the country and abroad, mediation in airline ticketing of all global airlines and reservation of hotel accommodation of all categories within the country and around the world. Professionalism, respect and fulfillment of obligations to our customers and the constant effort to improve performance and meet the high standards that we have set is what characterize our business. Positive experiences of satisfied customers testify to the success of our operations so far. We are trying to set up and maintain the highest standards in our operations. We are a member of the Association of Travel Agencies (YUTA), International Air Transport Association (IATA) and Amadeus reservation system.